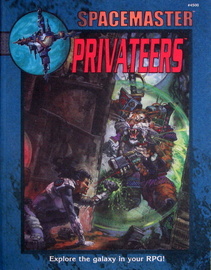 "Spacemaster: Privateers is the perfect way to start your adventures with the ultimate science fiction role playing system. In the dynamic Privateers setting, you and your players play a part in the last, desperate gamble to win a war against an evil driven by insanity. Everything you need to play -- combat, character creation, a complete setting, starships, and even psychic powers -- can be found in the pages of this one book! 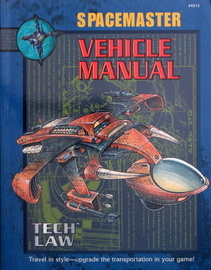 Once you're up and running, other Spacemaster support books add even more flavor, detail, and action to, your game. The wonders of the future can be yours today!" "Inside you will find every personal enhancement a privateer could desire — cybernetics, exoskeletons, biotech, implants, neuralware, and more. Treat yourself to a dermal weave, biohydralic joints, razor nails, or even an adrenal boost. Tired of retreading the same old flesh and blood characters? Try out your own state of the art android or robot. Customize yourself with complete character generation guidelines with a myriad of templates, options, and flaws. 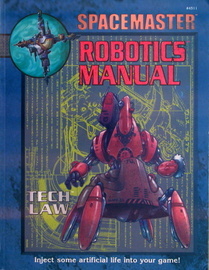 Also included are 8 attack tables, complete repair & malfunction rules, and 13 critical tables focusing on androids and robots. Steel yourself for action! Long live technology! Power to the androids!" 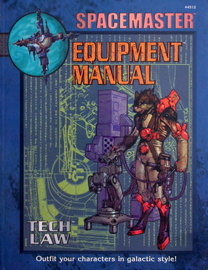 "This Equipment Manual provides everything an enterprising privateer can carry — and more! Picture yourself in kinetic armor with a needler in one hand, a monosword in the other hand, and a sniping plasma-carbine with holo-sights on your back. How about adding on a thruster pack, a medscanner, a sneak suit, and a velocity shield? Going camping? Try anti-glare lenses, a vapor canteen, and an environment tent. With the right connections, you might even be able to load up with professional and military-grade gear. Also included are 5 critical tables, 16 attack tables, complete tech level benchmarks, and guidelines for construction & design, malfunction & repair, and breakage. Outfit yourself for adventure! Dress for the kill! Equip to the max!" "Inside you will find every type of vehicle a privateer could desire —- marine ships, aircraft, ground conveyances, small spacecraft, and even decommissioned gunboats. Take a test drive in a Death Howl II Heavy Fighter, or perhaps in a "Light Horse" Class FAV, or even in a suit of APE Orbital Drop Armor. Bored with the standard, assembly line models? Try customizing your own state of the art vehicle using complete construction & design guidelines with comprehensive sets of features, quirks, and flaws. Also included are complete combat rules, 10 attack tables, and 6 critical tables focusing on vehicles, ordnance, and infantry units." • 20 Critical and Fumble tables"
"Add the power of expanded character development to your game with Future Law. 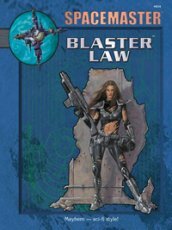 Future Law is the ultimate Player’s Guide to Spacemaster, giving new character professions and hundreds of new character options. Get the most out of your characters and feel the power of the Spacemaster system with this exciting core support book. • Everything You Need to Customize Your Character With Style"
"How do you create a sci-fi universe from scratch or a believable alien race? Simple —just pick up Spacemaster Gamemaster Law for the answers. This guide to universe creation contains everything you need to know, including a handy scientific primer that covers such topics as cybernetics, artificial intelligence, dark matter, relativity, and more. You need to create a star system and planets—no problem it's in there. 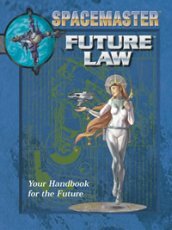 Use the guidelines for creating alien and futuristic races and cultures to populate the worlds you create. A section on creating sci-fi encounters rounds out the book." 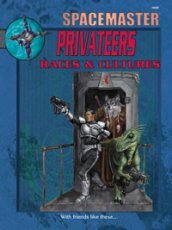 "A must for any Spacemaster game, this book details the races of the Privateers universe. Find out what the races are really like in detail; from culture to physiology to role playing, everything you wanted to know about the: Falanar, the Kagoth, the Oort, the Tulgar, the Valiesans, the Xatosians and of course humans. What will our own species be like in the future?"